The Battery Tender Plus is a 1.25 amp battery charger designed to fully charge a battery and maintain it at proper storage voltage without the damaging effects caused by trickle chargers. Included is 1 quick-connect cord that can be left attached to your battery, allowing for a quick, easy charger connection. 12 Volt 1.25 amp Battery Charger. Fully charge a battery and maintain it at proper storage voltage without the damaging effects caused by trickle chargers. Automatically switches from full charge (14.4v) to float charging mode and maintains a 13.2 volt charge. Reverse Polarity Protection to ensure user safety. Red and Green Lights Alternately Flash in this condition. 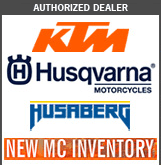 Additional quick-connect cords can be purchased for your other motorcycles, ATVs, watercraft, or snowmobiles, allowing you to quickly connect the Battery Tender to another vehicle. 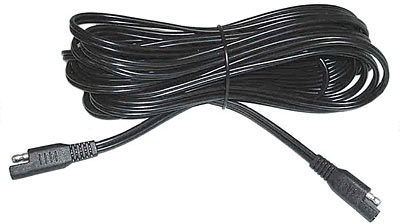 A 25-foot snap cord extension allows easy access to watercraft or other vehicles that are parked away from an electrical outlet.